I love when a model really pops. The current trend is still to go with more desaturated colors for a more realistic look, but sometimes you just need a good ol' pop of color. 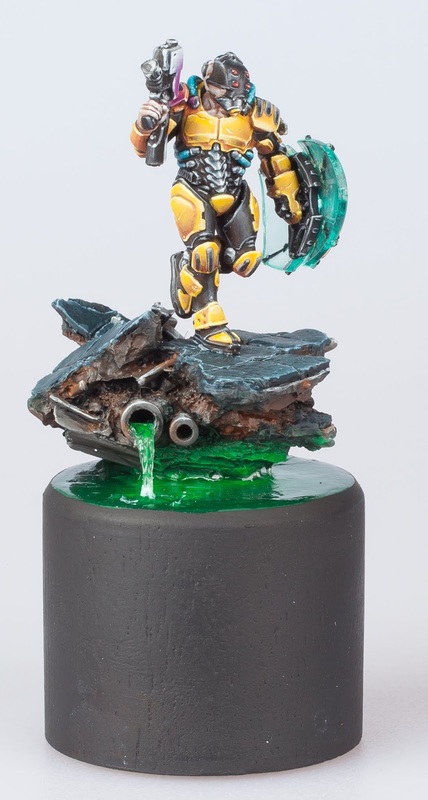 The bright yellow armor works perfectly with the black and the blues, turquoise, and green as well. The base has a bit more of a subdued look, which makes sense for something "natural" but this is broken up by the vibrant green toxic waste beneath it. I really love how the colors work with the clear turquoise of the energy shield, and do wish that color was used a bit more instead of the blue, but it all still looks great. The blending on everything is smooth, with crisp highlights, and just the right amount of weathering. 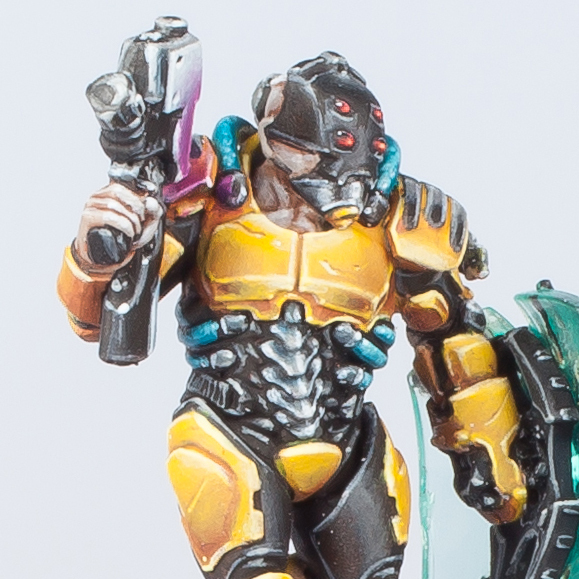 The Van Saar models already have a fairly futuristic look to them, even for 40k, and these color choices really help push that with an almost neon feel to them. I would love to see a whole gang painted up this way, and it definitely deserved the award it won at the Golden Demons.